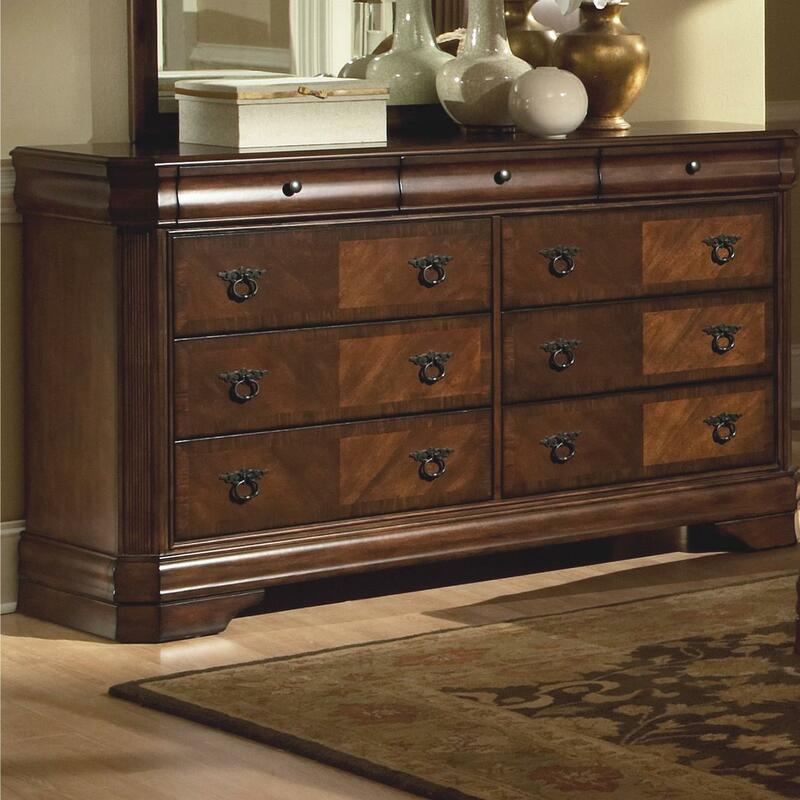 Bring sophisticated style into your bedroom with this drawer dresser. 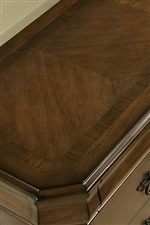 The piece carries a rich burnished cherry finish and features exquisite details such as reeded corner fluting, antique-finished pulls and inlay trim drawer faces. 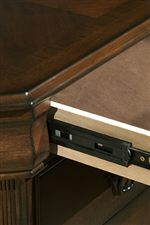 In addition, the three top drawers are felt lined while the lower six drawers have great for keeping blankets, sweaters, jeans, bedsheets and towels. 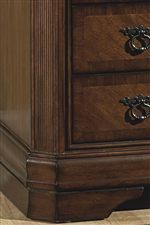 Function and fashion will meet with this drawer dresser in your bedroom setting. The Sheridan Drawer Dresser by New Classic at Michael's Furniture Warehouse in the San Fernando & Los Angeles area. Product availability may vary. Contact us for the most current availability on this product.